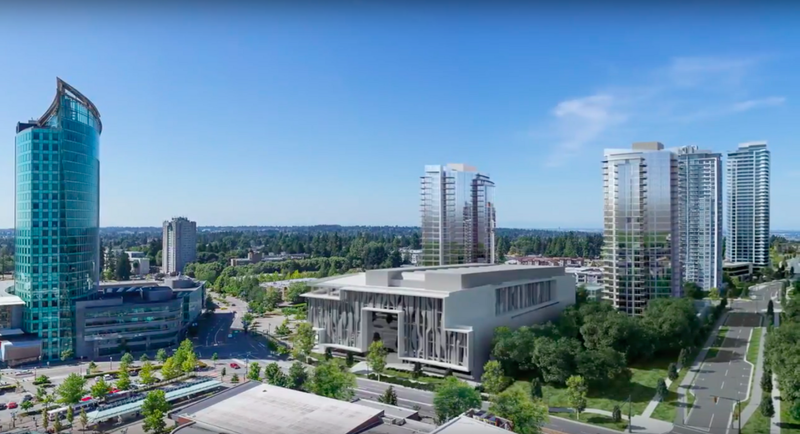 With 2018 now upon us, it’s time for this blog’s annual look at the year ahead to forecast what’s in store over the next 12 months for development in Surrey City Centre. While the past few years have been unprecedented for not only construction in City Centre, but also for rising real estate prices and property values, 2018 shows no sign of slowing down. In fact, 2018 could prove to be another record year for construction starts and rising property values, with up to 10 new towers starting, in addition to a number of 5-6 storey projects, new parks, roads, and the Surrey Central Skytrain expansion. City Centre’s landmark 52-storey, 3 Civic Plaza, will finally see completion in 2018, delayed from its anticipated completion date of November 2017. The project which will contain condos, a hotel, retail space, a restaurant, cafe, and a KPU campus will likely open in phases, with the Autograph-Collection Civic Hotel to open first by early spring. Around the same time, we should see the much anticipated Dominion Bar & Kitchen open, as well as Surrey’s first Prado Cafe, and some new retail along City Parkway. By summer, we should see occupancy of the condo tower, and by fall, the opening of KPU’s new City Centre campus for graduate studies. 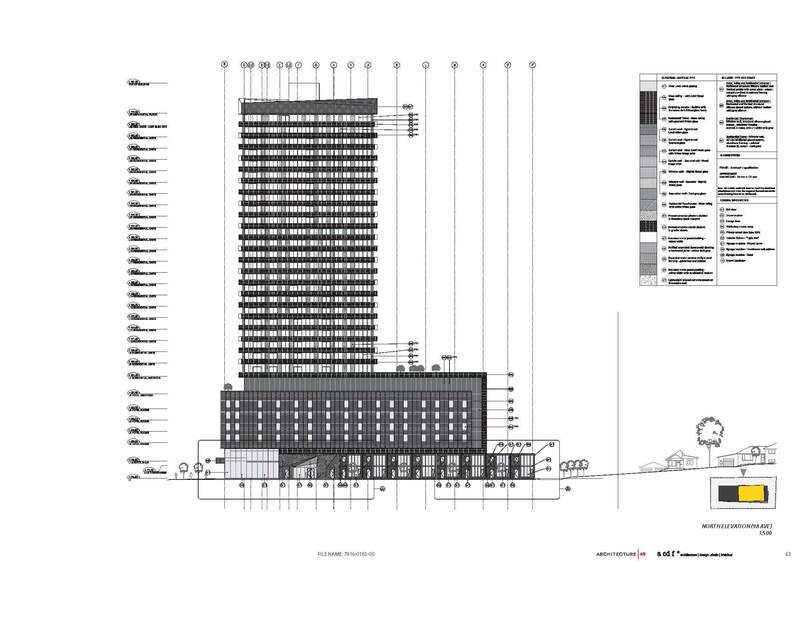 Located across from Civic Plaza at the corner of University Drive and Central Avenue (formerly 103 Ave), Prime on the Plaza topped out at 37-storeys in December 2017, and is set for completion by the end of the year. 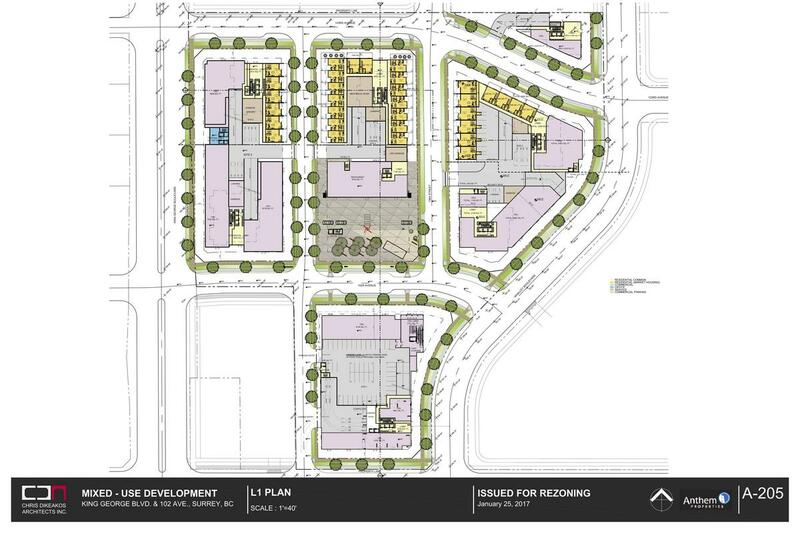 In addition to condos and street-front townhouses, the building will also bring new retail to University Drive, and open a new section of Central Avenue as well as a new rear lane. Directly next to Prime on the Plaza, SFU’s new Sustainable Energy & Environmental Engineering Building is set to open its doors in September 2018. The project which only began construction in late 2016, has seen rapid progress over the past 12 months, which is expected to continue to meet the project’s scheduled completion date for fall 2018 classes. The late Bing Thom designed building has already become a landmark with its unique facade, featuring pre-cast concrete panels in an irregular shaped pattern. In West Village, Evolve will continue to rise to its final height of 36-storeys in 2018, to become the 2nd tower in the master planned-community being developed by WestStone Group. While initially anticipated for completion in 2018, there is a chance this project could extend into 2019 given its current progress. When complete the project will contain condos as well as a 3-storey office and retail building, which will form the beginning of a new village commercial hub planned for the area around Central Avenue and 133A St.
Across from Evolve at Central Avenue and 133 St, the new West Village Park & District Energy Centre continues its construction which began in 2017. The innovative new District Energy Centre will provide heat and hot water to surrounding buildings through a central facility that is fuelled by renewable energy sources. 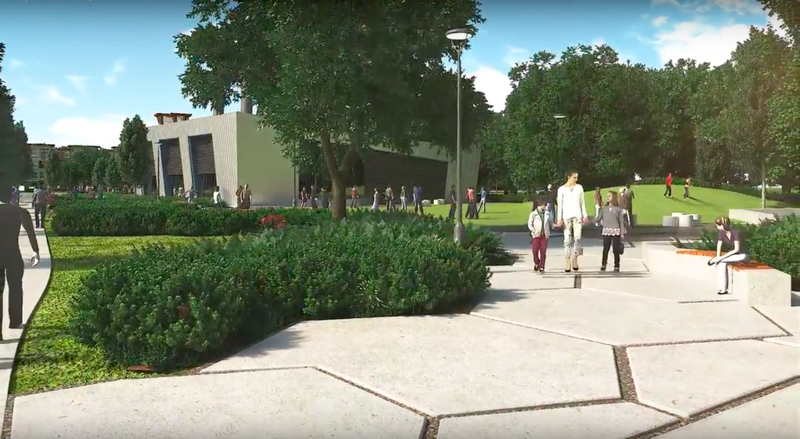 Surrounding the facility will be the new West Village Park, which has been designed as a new urban park to serve residents of the rapidly growing and urbanizing West Village neighbourhood. In the emerging Health & Technology District north of Surrey Memorial Hospital, Lark Group’s ‘City Centre 2’ professional building is expected to complete in early 2018. 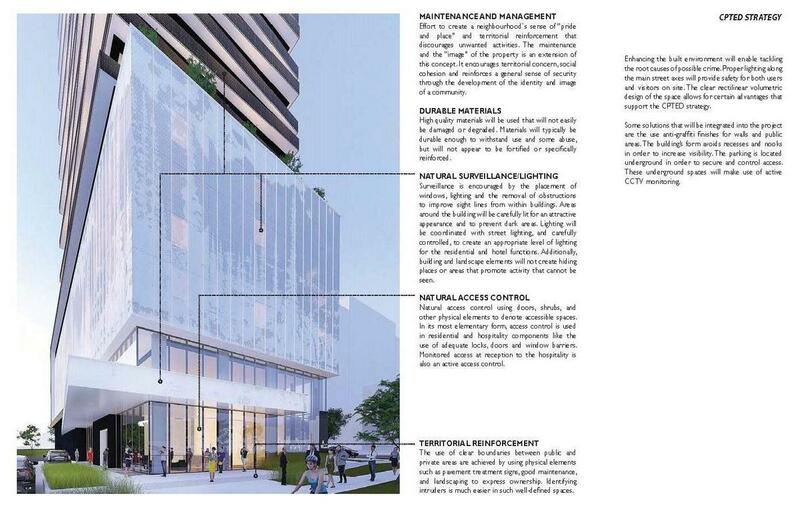 The 12-storey building is the 2nd in a series of up to 8 towers envisioned for the district, focused as a hub for medical, technology, research, and education related office tenants. 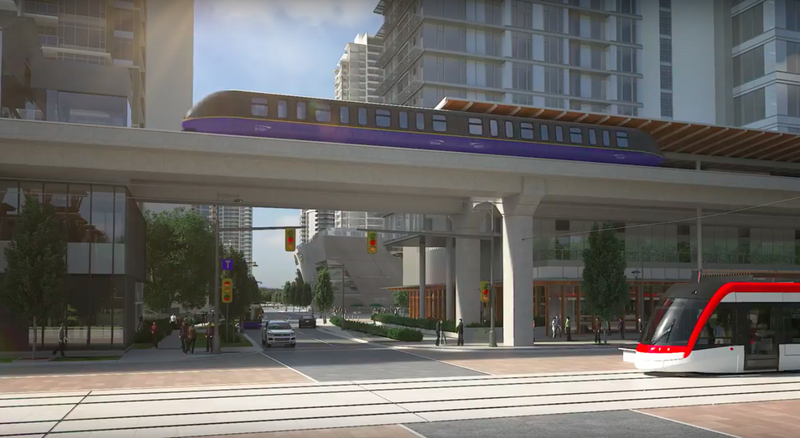 The Surrey Central SkyTrain expansion project began in 2017, and is set for completion sometime in late 2018. The project will bring a new north entrance to the station at the corner of Central Ave and City Parkway directly across from the new Civic Plaza. Designed by omb Architects, the same firm responsible for the recent upgrade of Joyce Station, the new station house will feature a contemporary design with high quality materials and lighting. A number of 5-6-storey projects will continue construction and complete within 2018. These new 5-6-storey buildings are helping to infill and urbanize areas throughout City Centre, and transition density from higher-density towers to lower-density single family neighbourhoods. They also provide for a diverse range of housing in the City Centre. Site clearing for King George Hub began in late 2017, following selling out both of its residential towers in record time in the fall. 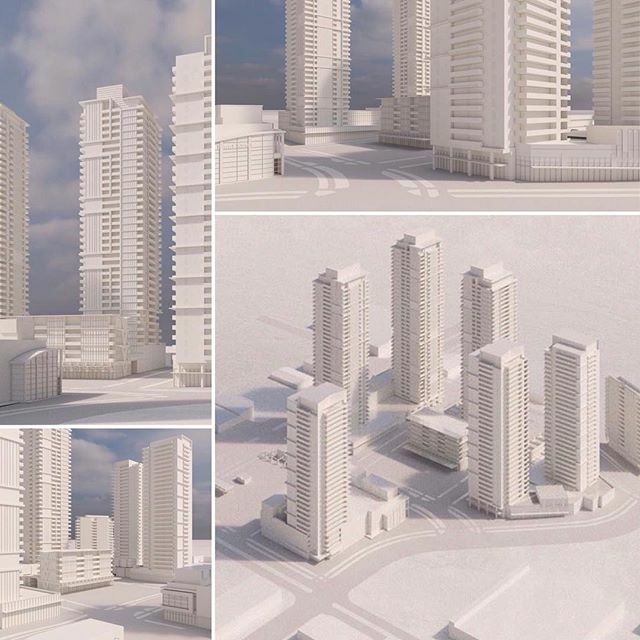 The project will feature 40 & 29-storey condo towers, a 15-storey office tower, 2-storey stand-alone restaurant, a future LRT station, as well as over 100,000 sq.ft. of retail space integrated with a plaza. The project is scheduled for completion in late 2020. 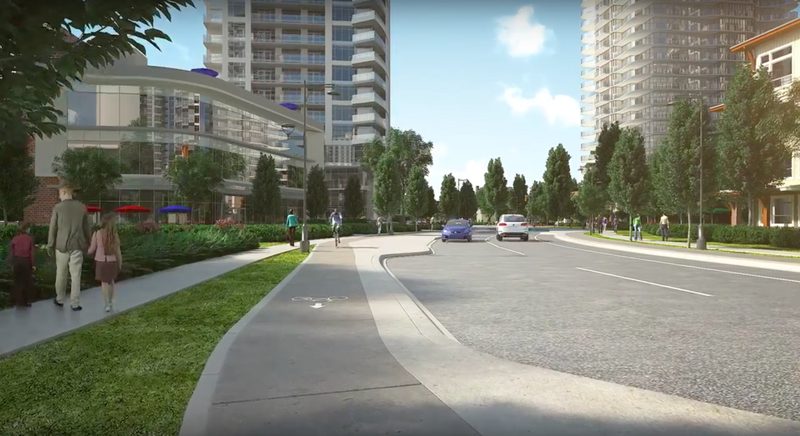 Concord Pacific’s 42-storey Park Boulevard tower featuring a signature lighting feature is expected to break ground in early 2018, with an estimated completion in late 2020. 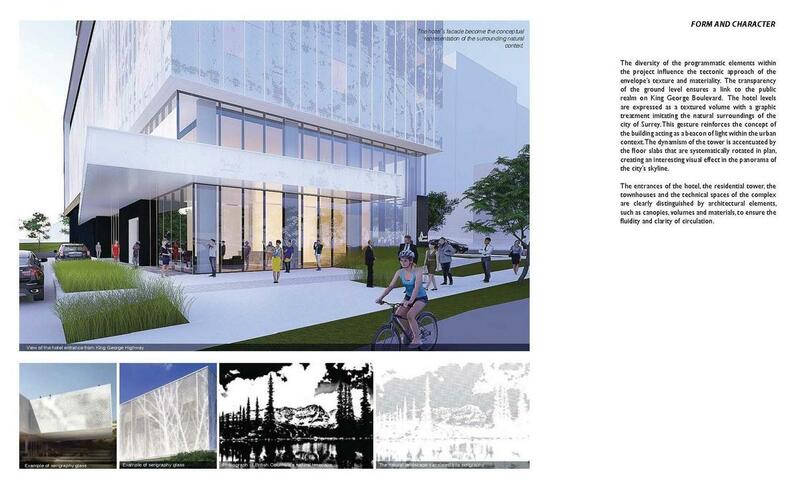 It will complete the Park Place plaza adjacent to King George Station. 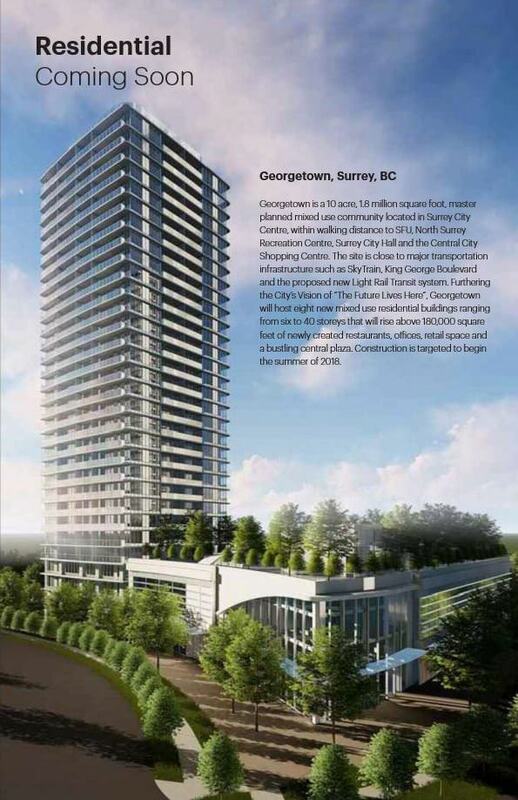 Set to become the 2nd tallest tower in Metro Vancouver after the Shangri-la, the 55-storey GEC Education Mega Centre is expected to start construction in 2018 on the site of the former Stardust Roller rink. The roller rink is currently under a lease extension which expires in January. Demolition and site clearning could begin soon after, likely by spring. When complete the tower will bring 55 floors of student residences, student hotel, college space, office space, and retail. It is estimated to be completed by 2021. 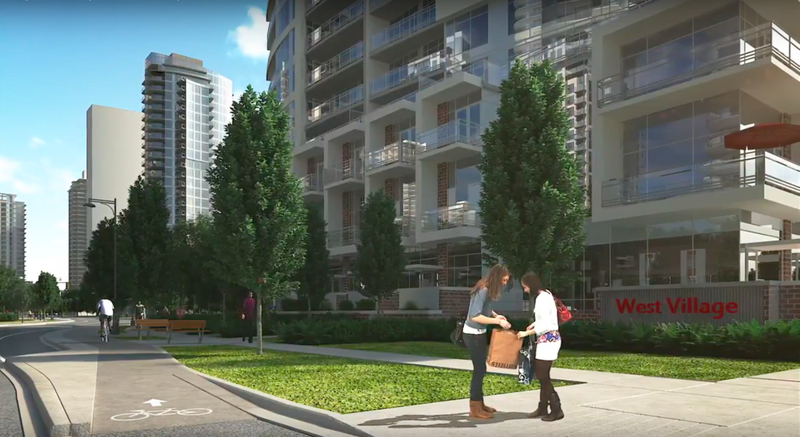 Tien Sher Group’s long awaited Whalley District will be a transformative project for the area of 108th Avenue & King George Blvd – the historic heart of Surrey which has become notoriously run-down in recent decades. 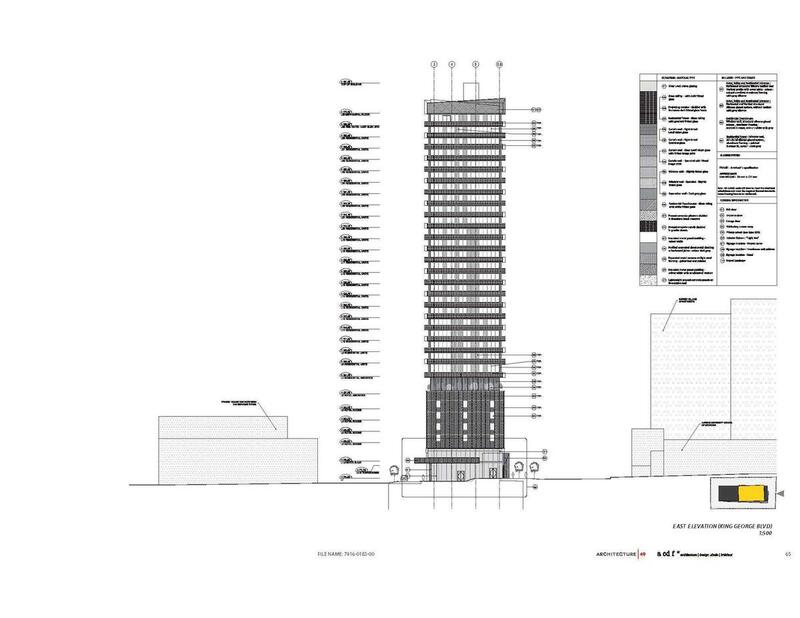 The 3 tower project ranging from 35-46 storeys is expected to start with a 35-storey tower and 6-storey condo/retail building near Whalley Blvd & 107A Ave this year. The Whalley Legion may finally see redevelopment begin in 2018 with the long-awaited Veterans Village project. 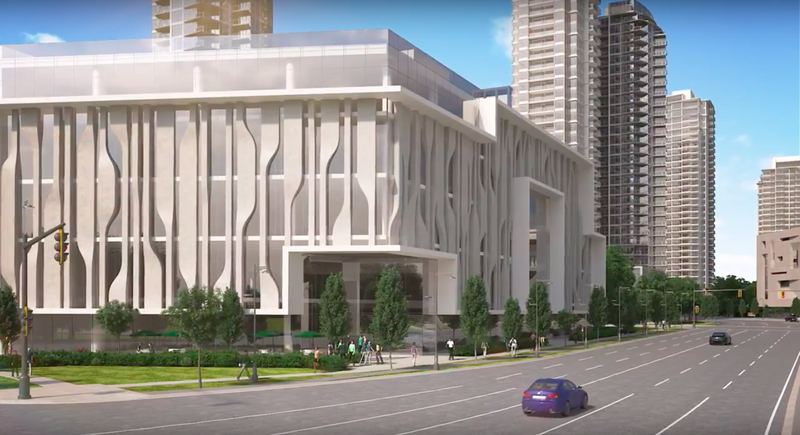 The 15-storey tower, which has seen major design revisions since initially proposed, is set to house a research, rehabilitation, and care centre for veterans and their families. 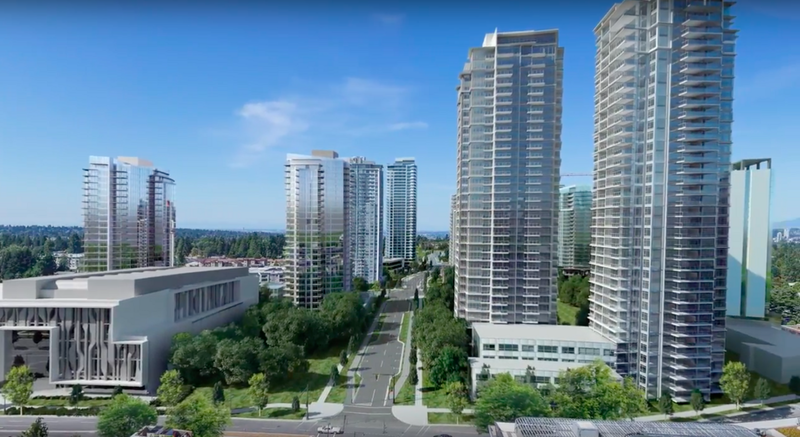 Set to become the largest all-rental tower in City Centre, and likely the largest in Metro Vancouver, the yet-to-be-named ‘West Village 5’, will be the 3rd tower in WestStone Group’s master planned community of West Village. Construction could begin in 2018 or early 2019, around the same time that Evolve (West Village 4) wraps up construction. 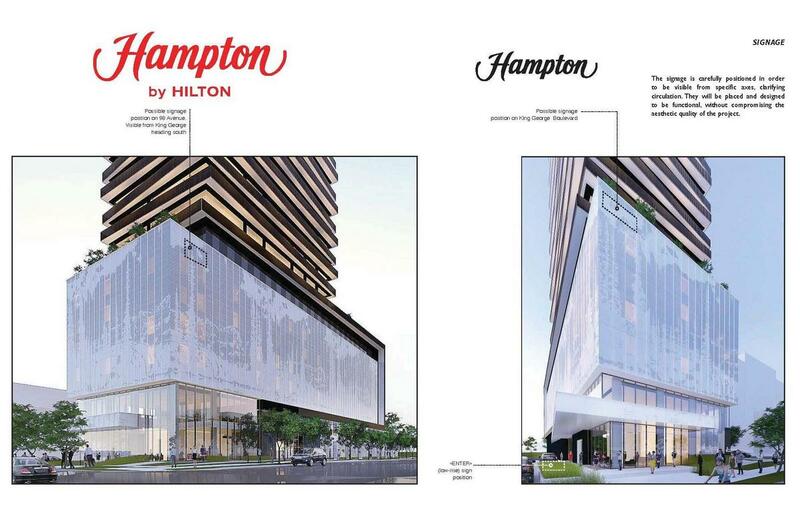 Receiving Preliminary Approval in 2017, with project renderings featuring a Hampton by Hilton branded hotel, this project at 98th Avenue and King George Blvd will likely see final approval in 2018, with construction possible later in the year, if not 2019. 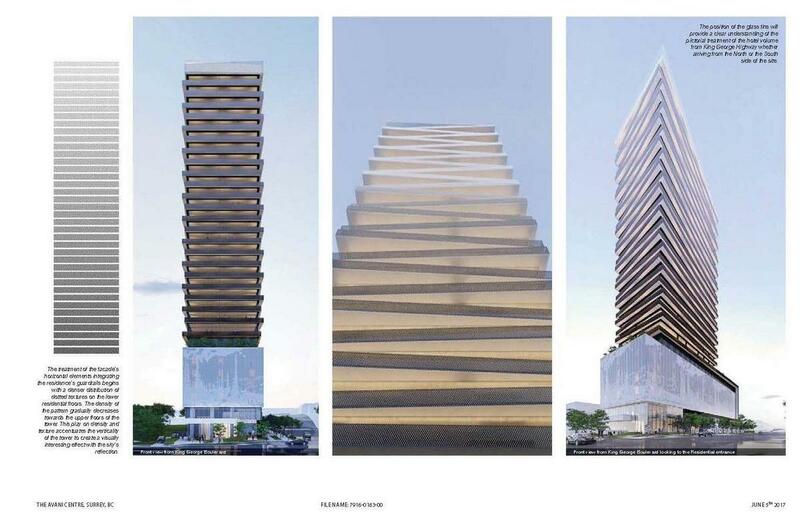 The striking design of the tower will be welcome infill for the currently vacant lot, and potentially be the 5th tower to start construction in the immediate vicinity of King George Station in 2018. 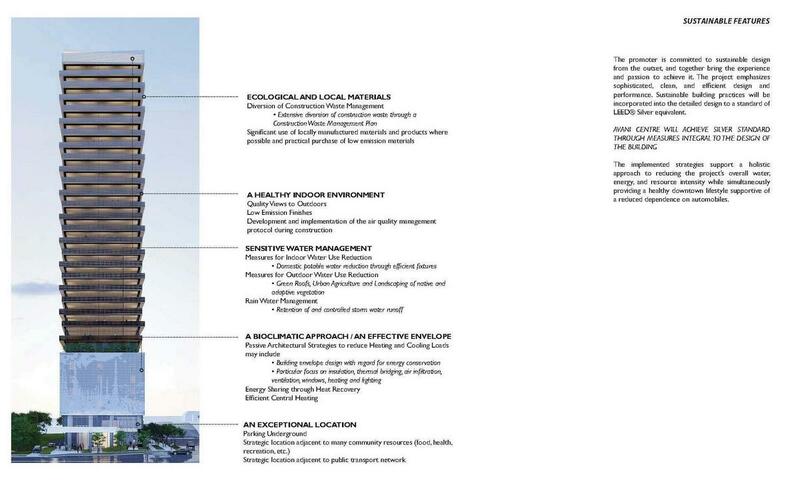 The 3rd tower by Lark Group in the new Health & Technology District will also likely see final approval in 2018. While start of construction is a possibility for later in the year, a 2019 start could be more likely. Similar to City Centre 1 & 2, this latest tower will provide 10-storeys of office space for medical, technology, and education related uses, as well as ground floor retail. Aside from all the activity of continued construction, anticipated starts, and new sales, 2018 will also certainly include many new project announcements, and more details on existing announcements, as the rapid growth and transformation of City Centre continues. 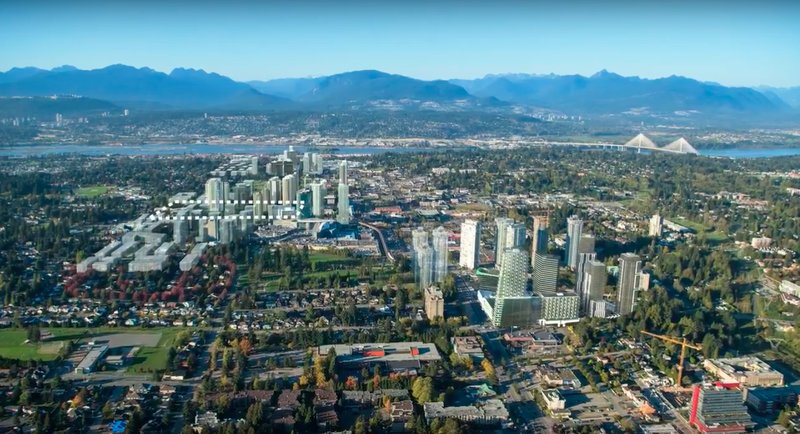 A new promotional video has been posted on the City of Surrey’s YouTube channel featuring the emerging West Village neighbourhood of Surrey City Centre. Located to the west of Surrey Central Station north of 102 Ave and south of 104 Ave, West Village is a newly coined name for the area, in the midst of transformation into high density, mixed-use, green, urban neighbourhood. 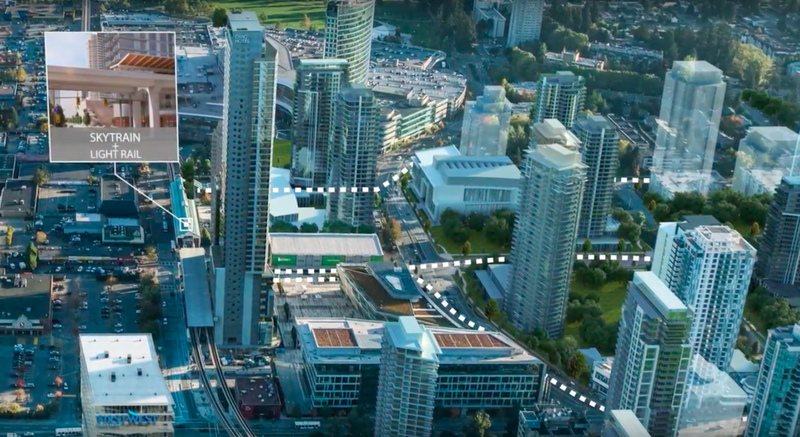 Already home to a number of residential towers, West Village is poised to grow rapidly over the next decade with the addition of more residential towers, shops, offices, parks, pedestrian walkways, bike paths, a district energy centre, and an expanded Simon Fraser University. All this within close walking distance to SkyTrain, future LRT, Civic Plaza, and the city’s emerging Central Business District. 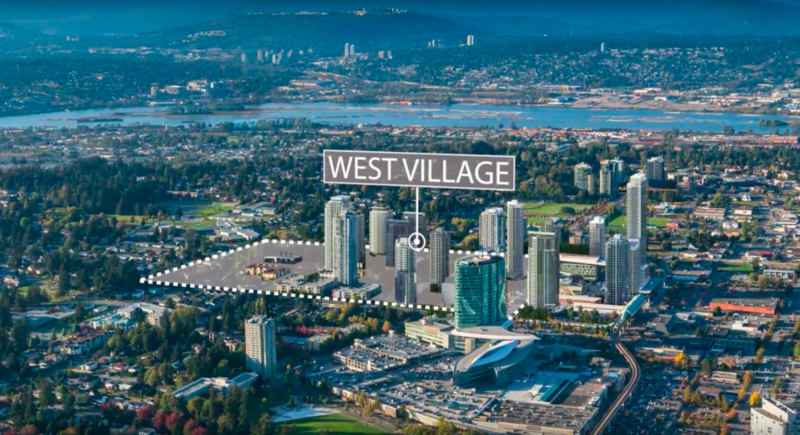 Aside from the focus on West Village, the video features a new live-action 3D rendered depiction of the future City Centre area, envisioned by 2025. 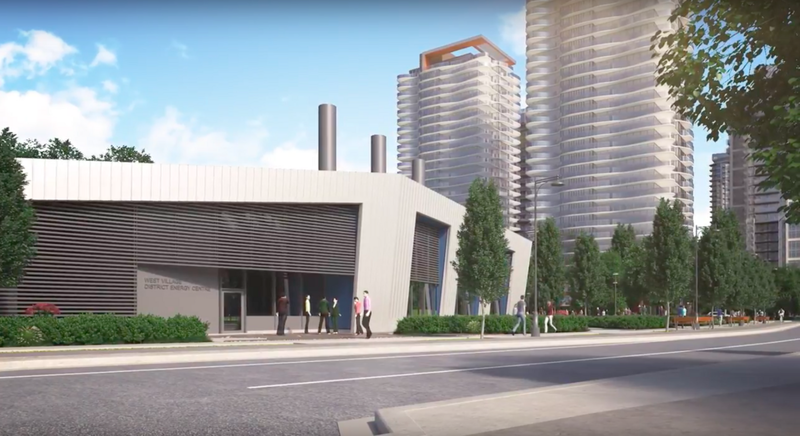 While many of the future buildings shown in the video are conceptual placeholders, many others are known proposals or already under construction such as SFU’s Sustainable Energy & Environmental Engineering Building, and Weststone Group’s Evolve. 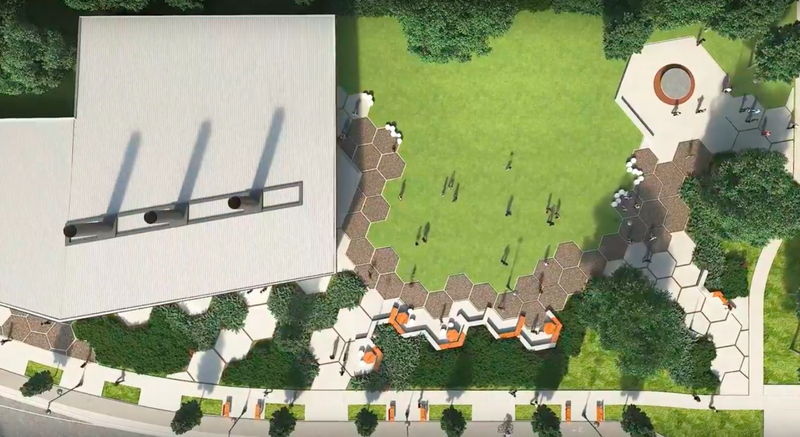 Oddly however some known proposed and even under-construction buildings are absent from the film, such as the under construction Prime on the Plaza, which is shown as a vacant grass field next to SFU in the video.